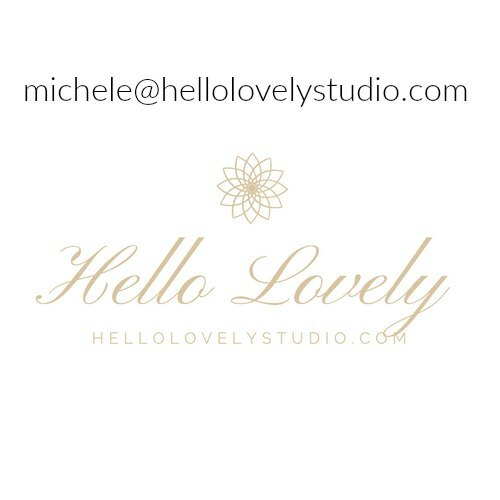 I’m Michele, and Hello Lovely is my personal blog of INSPIRATION FOR INTERIORS…beautiful ideas to create timeless, tranquil, and lovely homes. Welcome to my little blog, Hello Lovely! This courtyard was swallowed up in weeds when we bought the place…now it’s a European country inspired, blissful place for contemplation. 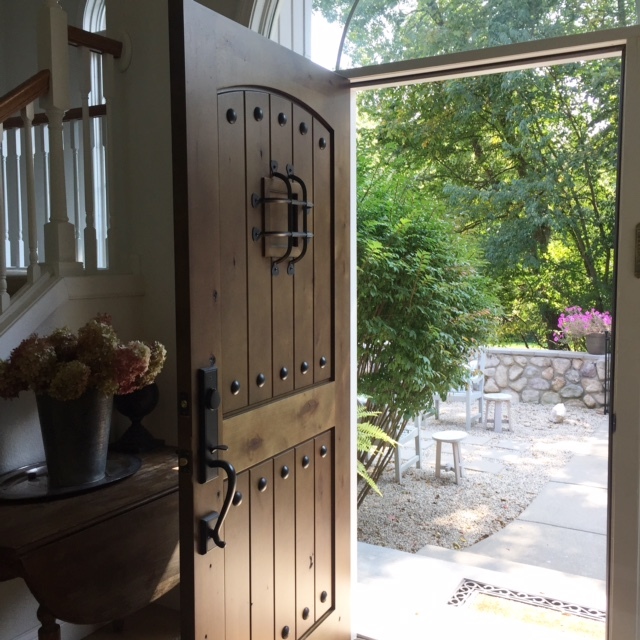 As an admirer of timeless and tranquil design and a fan of all things related to home, I’m passionate about sharing interior design inspiration and projects which expose and educate us about design, consider creative possibilities, and introduce us to designers. My aim is also to help you see the potential for peaceful and lovely interiors, both literal and figurative. Life is a bumpy ride, so let’s venture beyond the superficial and material to feed your soul and bring light to shadowy places. Need to contact me? Have a project I would like? Own an image on the site and need credit/link updated or image removed? I am happy to do this! Contact info is at bottom. I do like airy and white! 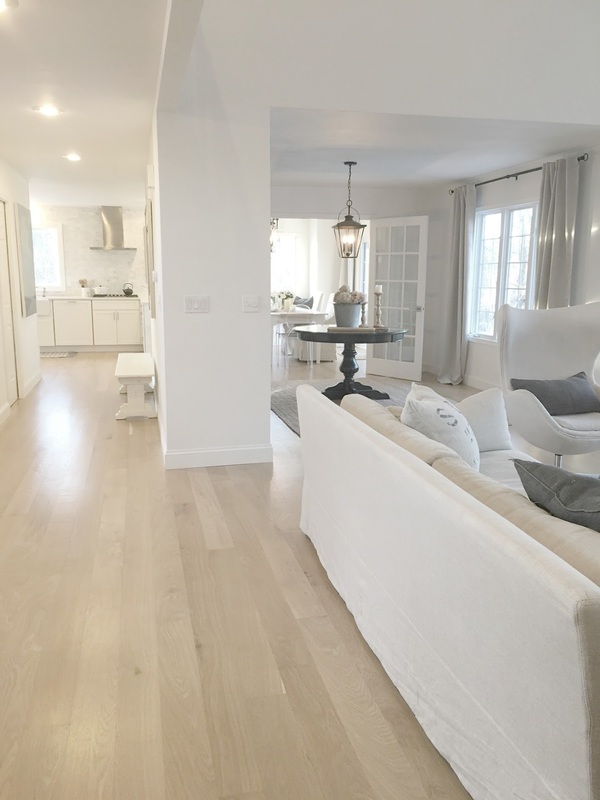 White oak flooring, Belgian linen upholstery, and BENJAMIN MOORE “White” paint on walls. 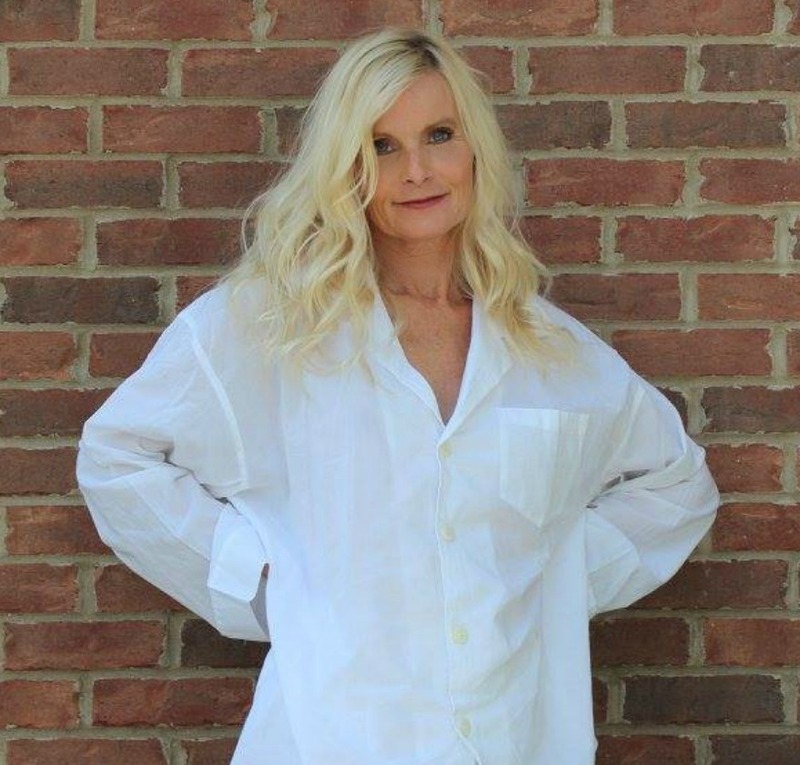 I have a master’s in counseling, and in another life, I was a professional counselor, tutor and freelance writer. More than 500 of my parenting and education pieces have appeared in 100+ print magazines. 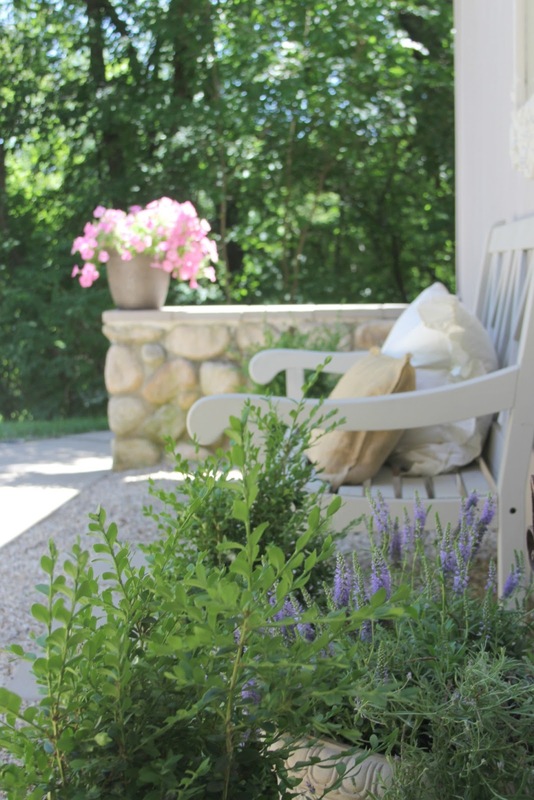 Now, I’m a real life renovator who shares my own home projects and our fixer upper adventures! The window seat is a favorite perch. Our dining room is off the kitchen, beyond vintage French doors I snagged for $38. Mama can shop!! Please sign up for your daily dose of lovely here so you don’t miss a single bit. Find me early in the morning or late at night devouring gorgeous design and blogging! Our white, serene, minimal kitchen…see it here. My happy places? Faith and family. 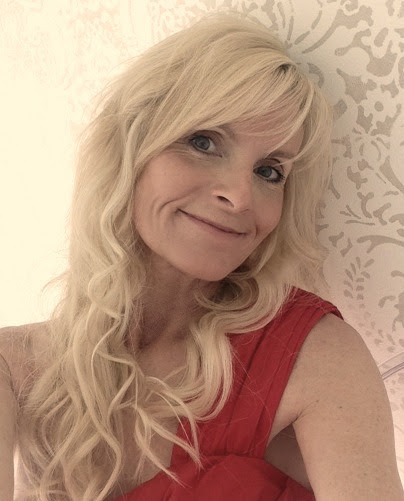 I often share personal reflections, sometimes about health (I have the BRCA+ genetic mutation a la Angelina Jolie and opted for a mastectomy and hysterectomy to lower my cancer risk) or spirituality. Sometimes the anti-cancer journey is manageable, and sometimes it’s a big ol’ mess. LOVE keeps making it all okay. I am hopeless as a gardener so expanses of pea gravel are my friend. I actually enjoy organic weeding (no chemicals here) and drift into a meditative weed trance. I love sharing sources for lovely decor finds, and it’s easy to support this one-woman-show-of-a-blog. I’m a participant in the Amazon Services LLC Associates Program, an affiliate advertising program designed to provide a means for me to earn fees by linking to Amazon.com and affiliated sites. USE THIS LINK to begin shopping for anything at all – not just products here! Order what you already intended to order, and it won’t cost you extra while Hello Lovely earns a few pennies. Merci! 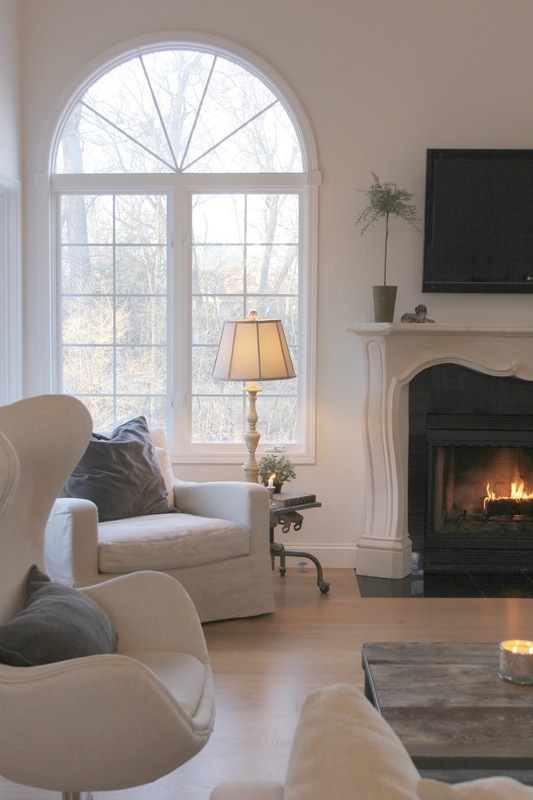 Our living room has a very simple, serene, spare, rustic yet elegant European country feel. More frugality evidence here. That little side table with the lamp? Picked it up at a garage sale for a buck. Painted the top to resemble zinc. Boom. 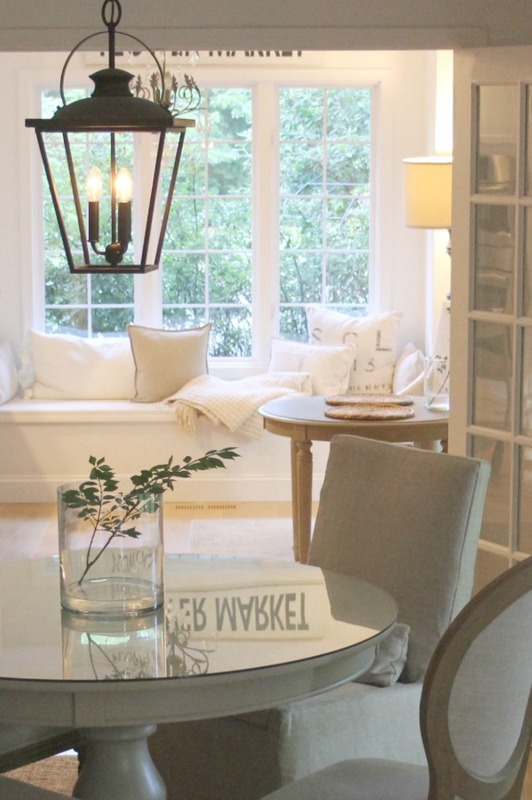 My fondness for European-inspired white interiors, timeless and tranquil beautiful home decor, and European country or French farmhouse everything is hard to miss. In my spare time, you’ll find me painting an abstract seascape, baking deliciousness (mostly G-free), or composing at the piano. My kitchen’s current look…it evolves! I’m sure there are folks who didn’t believe me when I wrote about this project. But it’s true. We planked this killer wall in 3 hours. By far, the easiest DIY in the whole house. 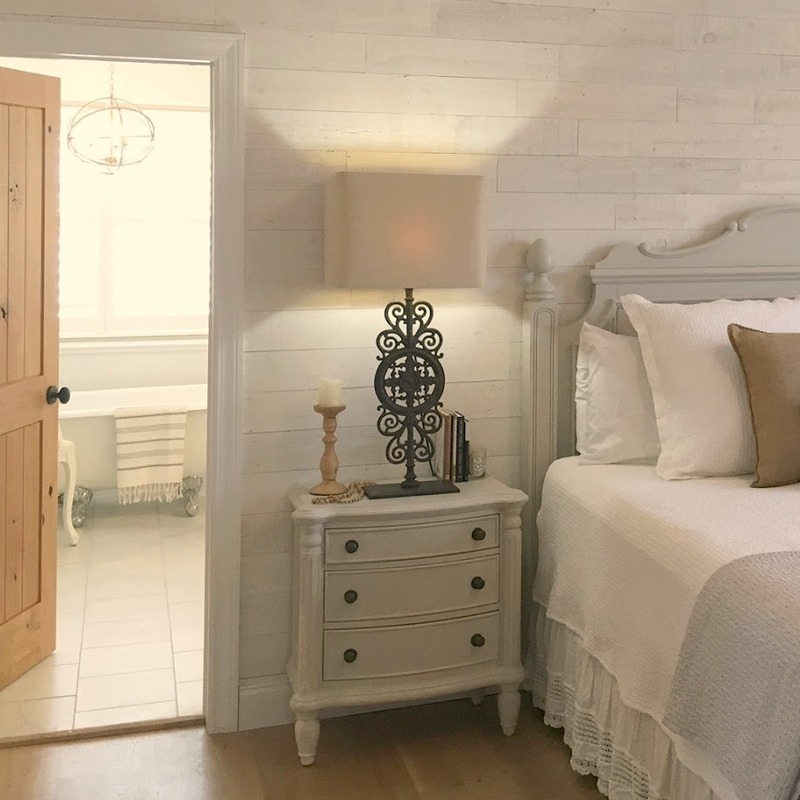 Read more about our master bedroom with rustic reclaimed wood wall: STIKWOOD Hamptons – Reclaimed Pine Peel & Stick Planks for Wall: FIND HERE. Whether you feel design-buzzed or peaceful-like as we go deeper into various interior design styles with home decor inspiration and decorating tips, my ultimate hope is you will feel supported and encouraged to create more peace at home. Stay in touch! Thanks so much for your support as you use independently chosen links on this page, some of which earn me a commission. Michele. 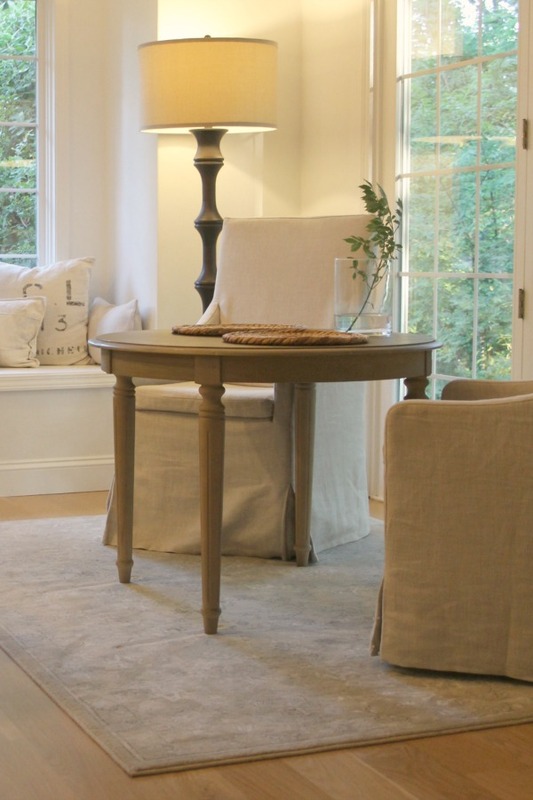 These Belgian linen slipcovers from BEMZ transformed our Ikea Ektorp sofas…highly recommend! Significance of the ballerina slippers you’ll often glimpse on Hello Lovely? This photo is one of my favorites I snapped of a ballerina I styled. I collect dead pointe shoes and danced as a sugar plum fairy in 6th grade…ballet was NEVER my strong point (I have hips and am not flexible!). Yet for me, pointe shoes represent feminine strength and a fierce work ethic–qualities I admire. Photo by Hello Lovely Studio. If you believe that your copyrighted work has been used on the Website in a way that constitutes copyright infringement and falls outside of fair use, please email a request to address below,​ and it will be removed within 24 to 48 hours. 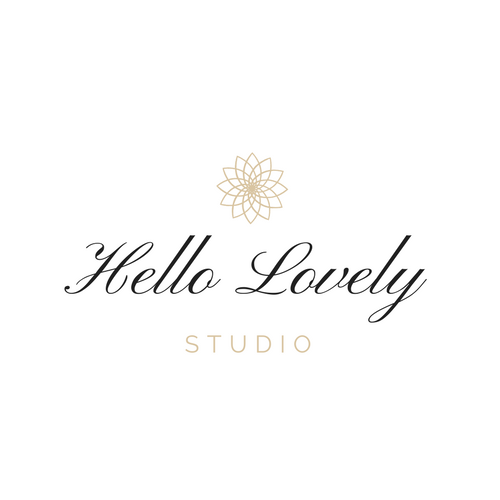 Support Hello Lovely by shopping Amazon (click RIGHT HERE) for anything (not just products mentioned here) to keep the inspiration flowing!